Henk Slotboom has been an investment professional since 1983. During his career he held several research and sales positions at both domestic and international investment banks. At the end of the 1990’s, he was responsible for setting up the Dutch franchise of Julius Baer brokerage, where he held a position as general manager. A few years later, he joined Insinger de Beaufort as part of the management team and was co-responsible for restructuring the bank’s brokerage activities. Prior to founding the IDEA!, he decided to return to doing what he always liked most: combining research and sales, which he did at Van Lanschot Bankiers. Mr. Slotboom has bachelor degrees in Economics and Law and earned the Dutch degree of chartered financial analyst at the VU-University in Amsterdam. During his career, Mr. Slotboom received various awards and earned several ratings, including Extel. Maarten Verbeek’s background in the investment industry goes back until 1992, when he joined the Institute for Research and Investment Services, a joint-venture between Rabobank and Robeco. In 1994 he joined Amstgeld, a boutique-style local broker that was a full subsidiary of ING. Since the late 1990’s, Mr. Verbeek has held several senior positions in research and sales at both domestic and international investment banks and brokers, amongst others Head of European Equities Analysts team. 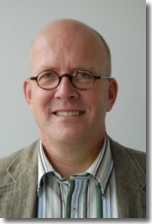 Prior to founding the IDEA!, Mr. Verbeek worked at Van Lanschot Bankiers as well. Mr. Verbeek graduated at the Agricultural University Wageningen with a major in hydraulics and hydrology as well as in business economics. 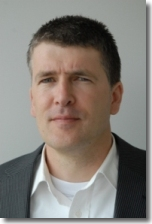 At the VU-University in Amsterdam Mr. Verbeek earned the Dutch degree of chartered financial analyst.